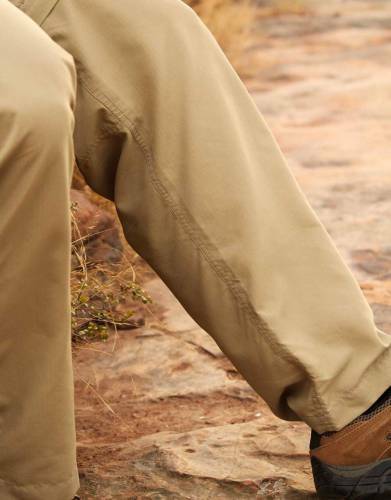 Katavi Khaki (32 inch leg)	32"
Khaki Olive (32 inch leg)	32"
Katavi Khaki (34 inch leg)	34"
In developing trousers to cover the bases for your safari, travels, and outdoor adventures, the Rufiji™ BUGTech™ Zip-Off Safari Trousers are designed to ensure convenience, strength, comfort, and style in warm weather destination and even in extreme locations. 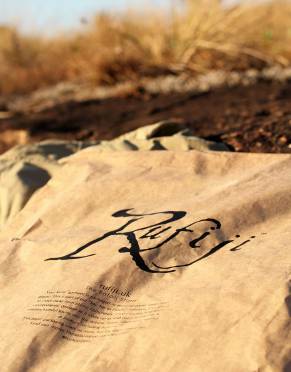 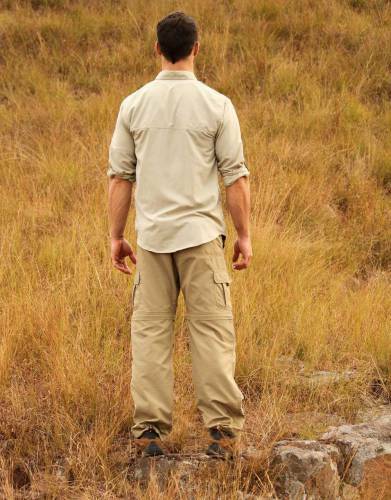 • The Rufiji™ BUGTech™ Zip-Off Safari Trousers have been proven in independent tests by the South African Bureau of Standards (SABS) Pesticide Trial Section to effectively repel insects. 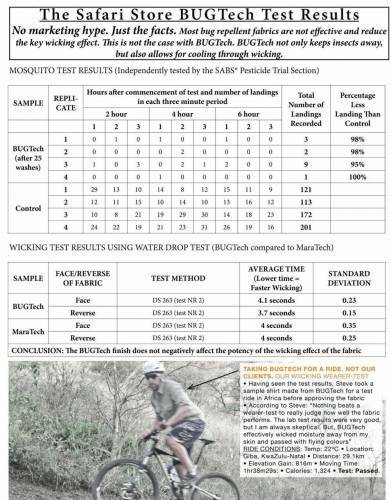 We know of no other manufacturer willing to publish their results (see test results in images above). 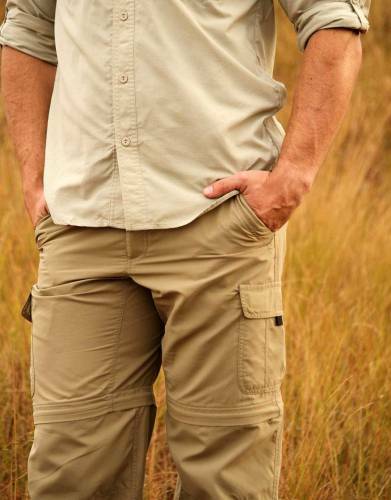 • The majority of insect repellent garments on the market today have very poor wicking as it usually conflicts with the insect repellent finish on fabric and so, while your garment may keep insects away, without wicking the fabric will not keep you cool. 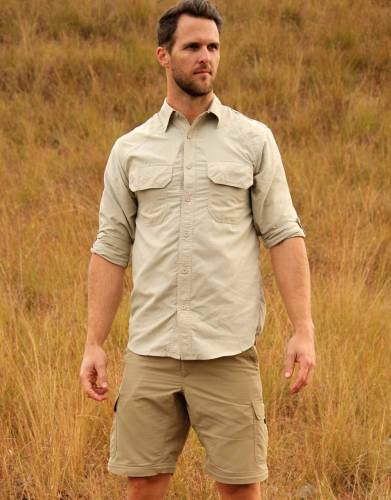 We tested our BUGTech™ against our MaraTech™ range which is highly effective at wicking moisture away from your skin. 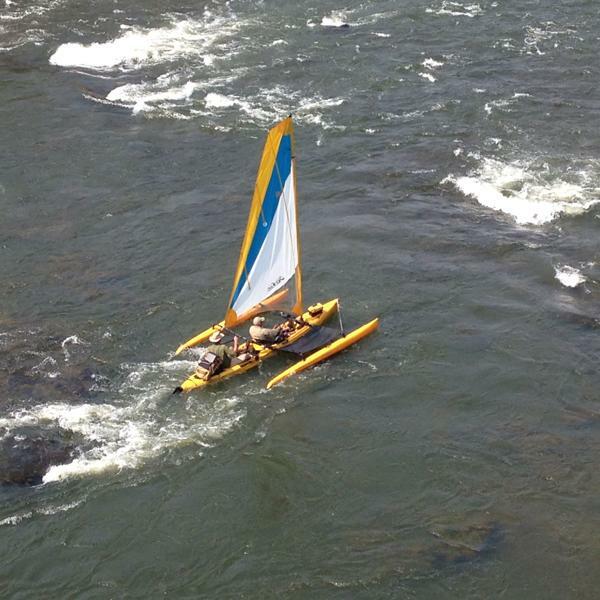 Please see the test results in the images. 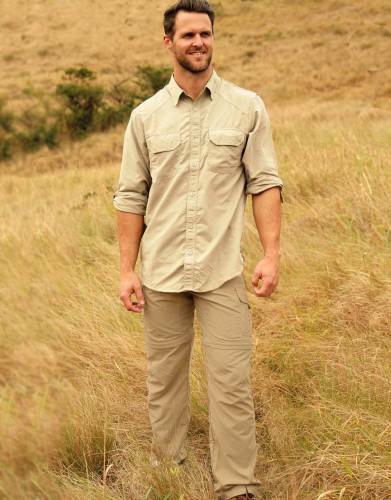 In addition to the insect-repellent and moisture wicking qualities of the fabric, the light Ripstop fabric is strong and smooth to the touch with built-in SPF50+ to protect you from the sun – the highest sun protection we know of in a garment. 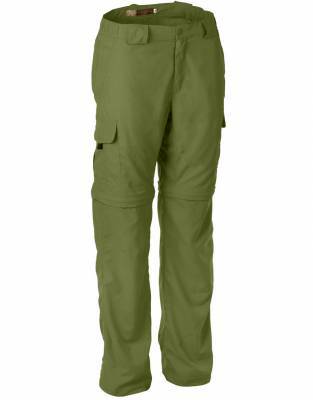 Creases from packing are quickly released and anti-bacterial technology keeps your trousers smelling fresh between washes. 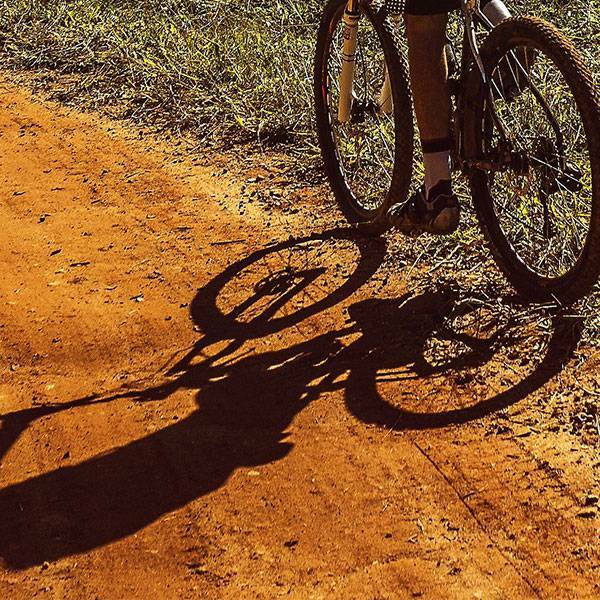 The material also dries quickly, keeping you on the go and allowing you to wear your trousers – or shorts – over and over. 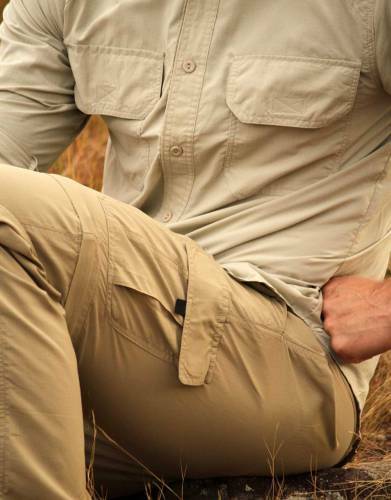 In an effort to ensure your Rufiji™ BUGTech™ Zip-Off Safari Trousers are the perfect fit, the waist is adjustable through a discreet elasticated strip fitted on the inside of the waistband – designed for a great fit without any compromise on comfort or the overall look of the trousers.